Find out how much your dreamhome will cost with our unique budget calculator. Before you start planning your dreamhouse it is important that you know some costs. 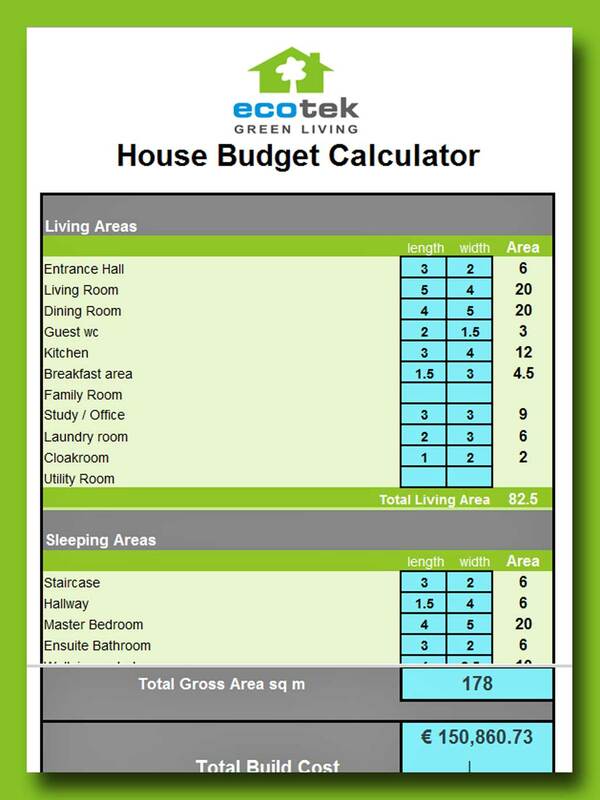 So to help you we have developed his innovative tool for you work out how much to budget for your house. It is easy to use, all you need to do is fill in the actual room sizes you need and we will instantly calculate with current prices how much you will need for your project. We have also included a section for a basement if you want one, a loft room and a section for the areas outside of your house too. We then work out all of the other expenses that you will have included design and engineering fees, cost of the permits, and most importantly the amount of VAT you will need to include in your figures. You will then have an instant figure, which you can then adjust by revising your room sizes. Get our FREE! Home Budget Calculator! Send them to us and we will prepare a detailed breakdown showing exactly how much your house will cost.